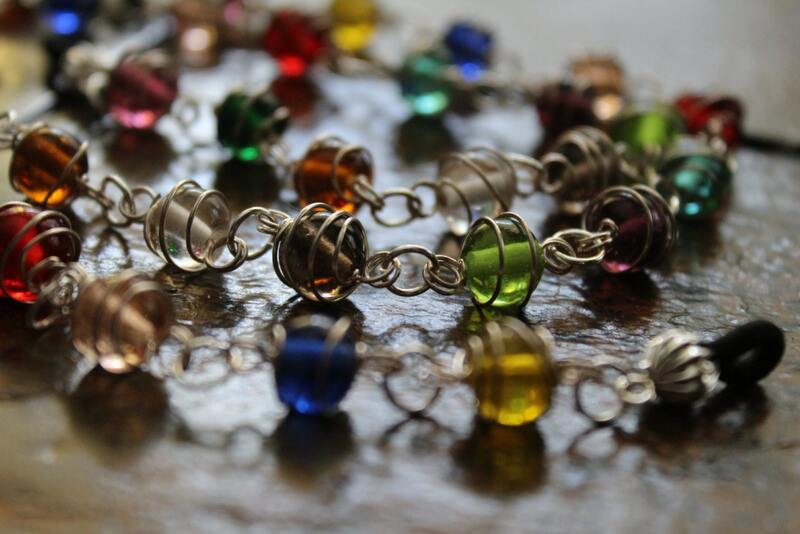 Wire wrapped, glass stone beads in a multitude of colors, make up this wonderfully unique eyeglass chain. 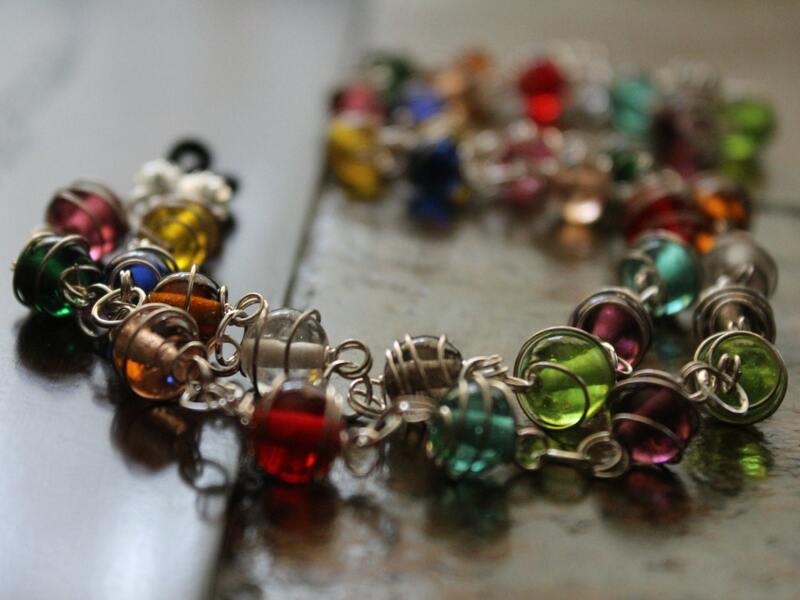 This one will definitely stand out among the rest as a favorite "go to" accessory because it has so many wonderful colors. 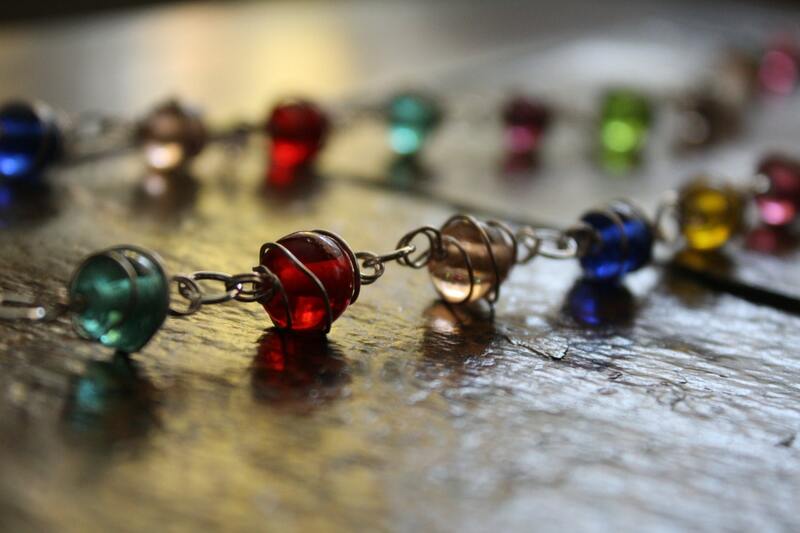 As I child, I loved collecting rocks, polishing them up, and making things out of them...this eyeglass chain brings me right back to that place in my childhood. It is unique, classy, original, and would make a wonderful gift! 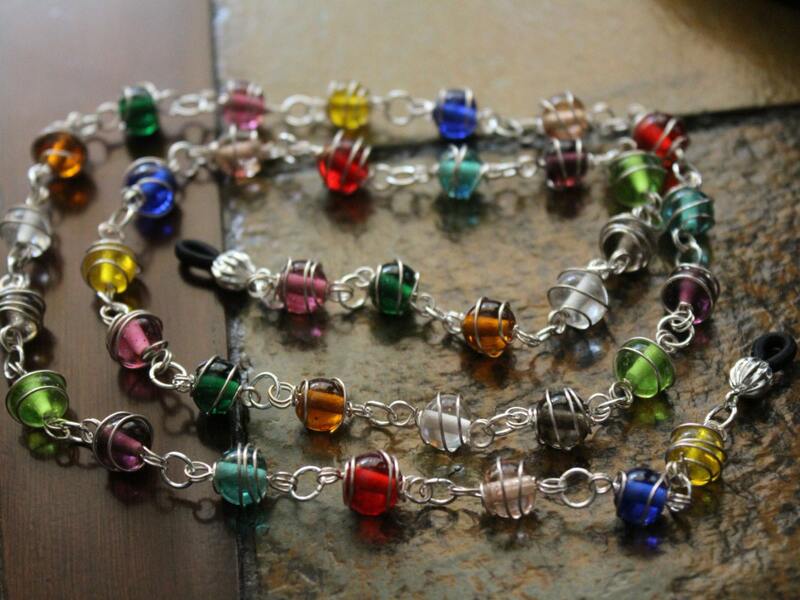 The entire eyeglass chain measures approximately 29 inches long. 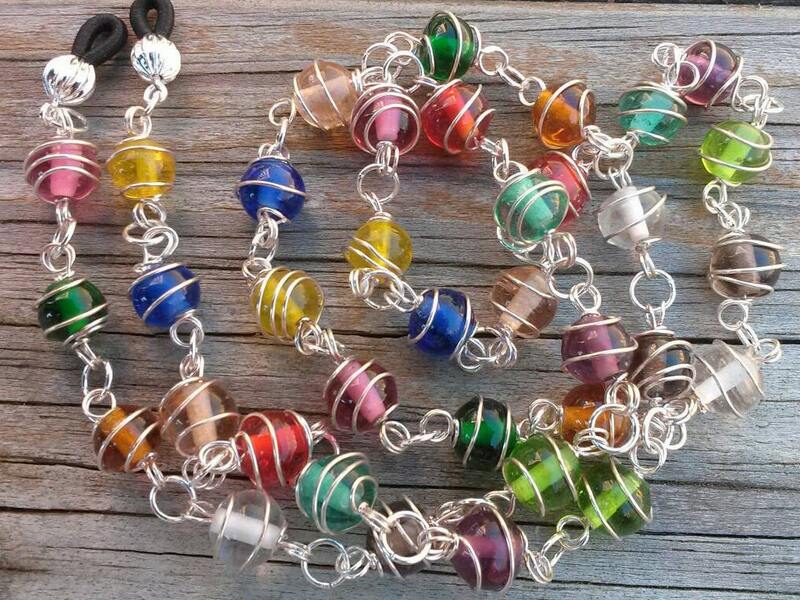 The colored glass beads are approximately 8mm. *Please note: all items are original designs created and handmade by Michele of MichelesAManoDesigns. This is a quality piece that looks lovely. I’m very pleased with it. Ordering was easy. Gorgeous. A bit heavier than I expected, but I love it. Shipped very fast as well.